I have fallen off the blogging train once again. When I go this long without blogging it seems like i sit down over and over again and get overwhelmed with where to even start to catch you all up on our life. Rather then figuring out what needs to be blogged about and what isn't really important I end up just getting frustrated and not blogging about anything at all. And so I will just start right now...where we are right now. Right now: We are in the throws of potty training. Let me tell you...major commitment!!!! 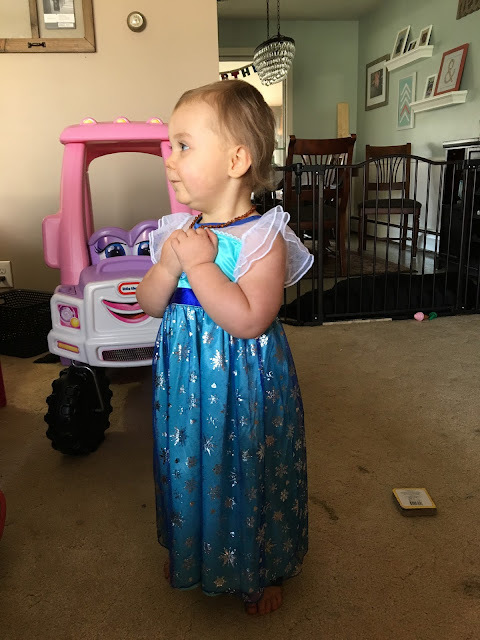 Ellie started showing signs she was ready and we sort of put it off because I don't think we were ready yet until I read a blog post somewhere about how if your child is ready then it is your responsibility as a parent to be ready too. And then I felt guilty and so we talked about it and planned and went all in one morning. Goodbye diapers (except nap and nighttime for now) hello undies!! I think I will do an entire post on what worked for us and what didn't...not that we are experts AT ALL, but I did a ton of research and think some of it may be helpful. At any rate, she has been doing so good...you guys it has been 4 days and she has only had 2 accidents and those have only been half/on the way to the bathroom accidents. 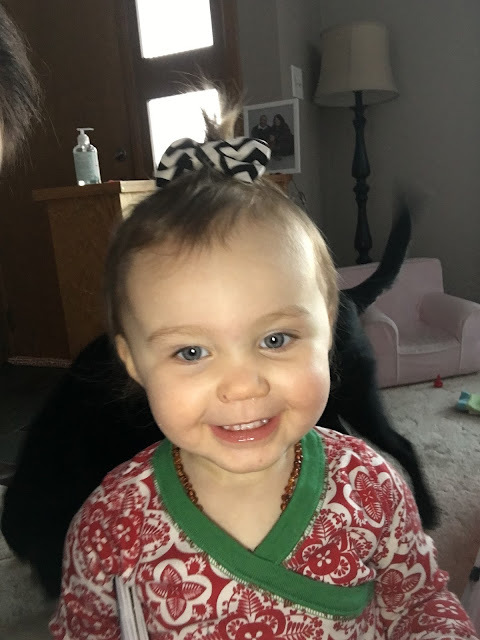 Watching her run around in undies might be the cutest thing I have ever seen and she is so proud of herself every time she hears the tinkle in the potty. Ps...disregard the marker all over her legs in the picture above...she got a little carried away and since we were potty training she wasn't wearing pants which means tons of skin for her canvas! 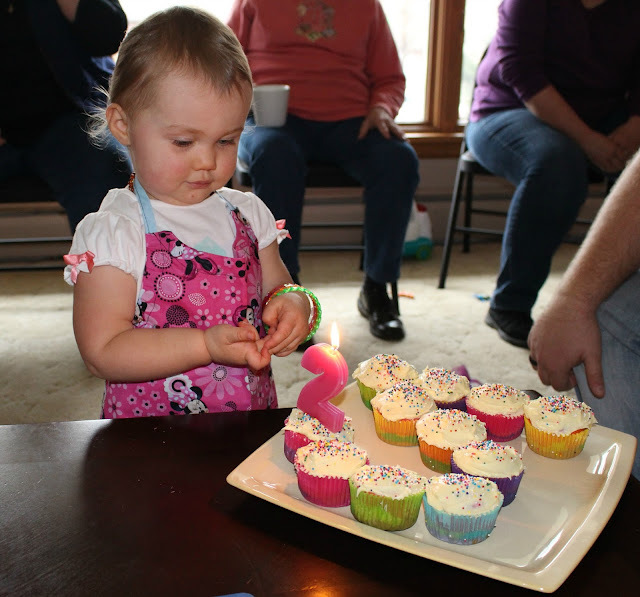 Right now: We are in total denial that our little girl turned 2 years old this month!!! How in the world did this happen...we no longer have a baby, we now have a toddler. It seems so cliche, but it really does seem like yesterday when she was born...time is flying. It is so true what they say: "the days are long, but the years are short" when it comes to raising a child. At any rate...we did celebrate little sassy thing by having a small family party with cupcakes and Frozen soundtrack. She even blew her little candle out all by herself! 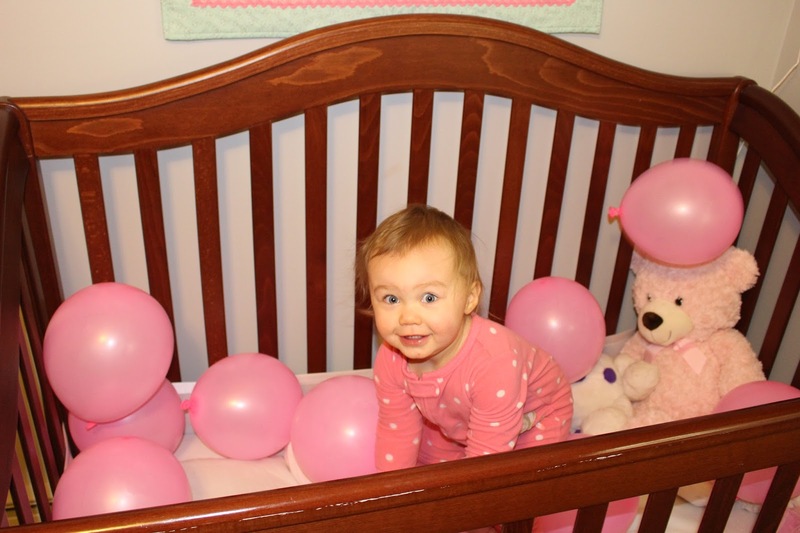 On the morning of her birthday Joe and I snuck into her bedroom and filled her crib up with balloons. When we woke her up she was so excited and loved every second of those silly balloons. It was totally worth it!! That is pretty much it...in summary our life is basically all about Ellie right now. 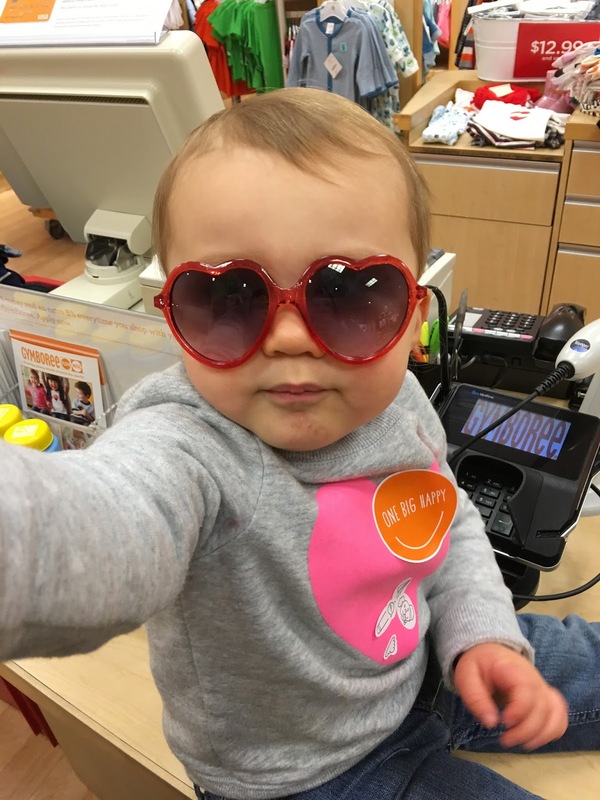 We still have other stuff going on, but potty training and 2 year old sass takes up A TON of time...so that is were we are. Hope everyone is doing great too! !